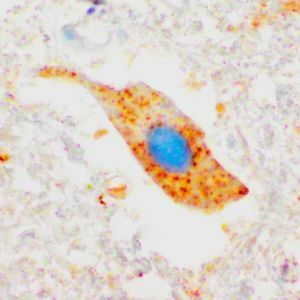 A mechanism for how the disease ALS evolves has been discovered at Umeå University, Sweden. The discovery concerns how proteins with a defect structure spread the deformation to other proteins. The discovery can open up for novel pharmaceutical developments in the future. 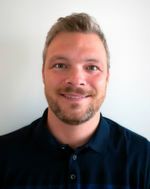 Umeå/Sweden — Johan Bergh, doctoral student at the Department of Medical Biosciences at Umeå University, said that the team was able to identify two different types of protein aggregates with different structures and propagation abilities. One type gave rise to a more aggressive disease progression, which showed that these aggregates are the driving force in the development of ALS. The protein that has been targeted is superoxid dismutas-1, SOD1. It has long been known that mutations in that protein can cause ALS. The goal of the research team was to investigate the way in which the protein contributes to the disease. In several diseases afflicting the nervous system, such as in Alzheimer's and Parkinson's Disease, new studies show that some proteins assume an abberant structure. Misfolded proteins aggregate and provoke other proteins of the same kind to assume the same structure. In this way, the disease spreads step by step into the nervous system. Using the new method, the scientists have shown and confirmed through animal models that the development of ALS follows the same principle as for other severe nervous disorders. Protein aggregates function as a template that healthy proteins stick to and cause the disease to spread. In animal models, aggregates of the SOD1 protein from animals, as well as humans, have been shown to induce ALS disease. Through the new method, Johan Bergh hopes that in the future, drugs will be developed specifically aimed at attacking these protein aggregates. He hopes that research teams focusing on similar diseases will adopt the method.